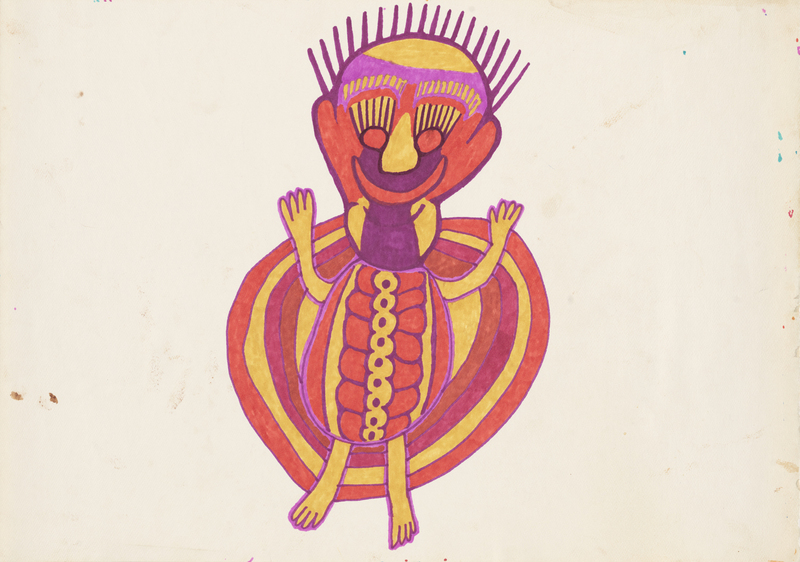 Inscribed 'WURRUWURRU = SANDHILL MAN' 'LITTLE MAN FROM SANDHILL' 'PICTURE FOR T-SHIRT' on reverse. Inscribed 'ATS_1036/ATS_1036_227 2014L/0137 246 G005' on reverse. Two circular labels inscribed '275' and '341' on reverse.